London is a massive, hulking behemoth of a city. More than 8 million people live on a total area of nearly one thousand square miles. The GVA total here is £396 billion. That’s £45,046 per capita! The sheer size and scale of the Big Smoke, not to mention the potential for opportunities, dictate that the prices on the market stay high. And so they say that London is “expensive”. This might be true if compared to a tiny town somewhere in the middle of nowhere, but is London truly expensive for a capital city? More importantly, are your investments into living here worth it? Let’s try to answer this question once and for all. We should start by asking the elephant – politely, because that’s how we do things in London – to leave the room. Yes, we will be talking about housing now. One month of rent for a decent flat will cost you anything from 1,500 to 1,700 pounds. 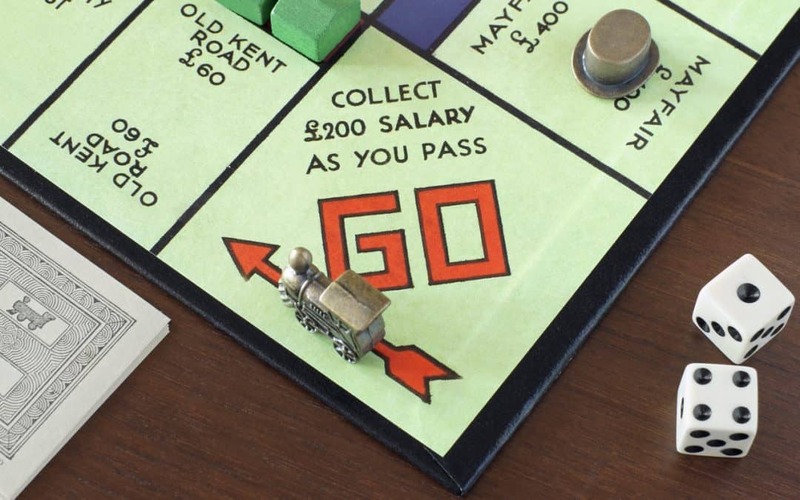 Sure, the prices may vary from property to property based on many factors like the location, convenience of commuting and utilities but we are talking the golden middle here. Then there are utilities, necessities and convenience items like TV, the Internet, Netflix, household items, etc. 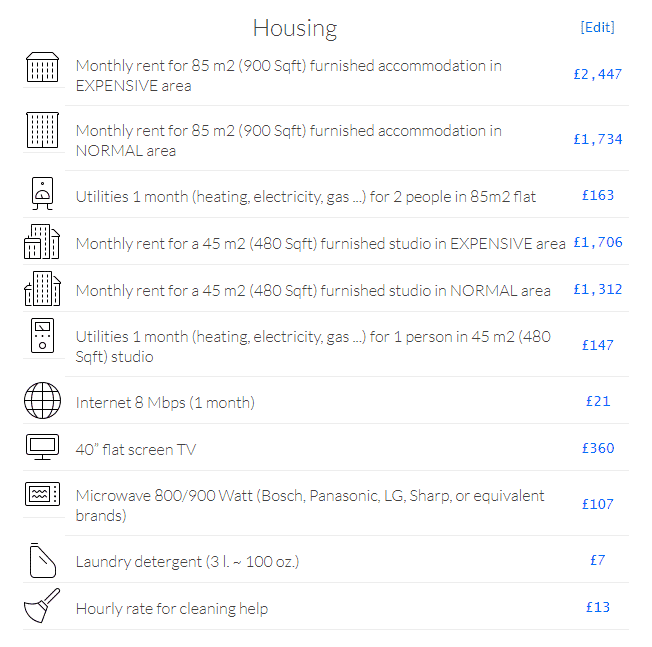 Everything you’ll need to live under a decent roof with comfort will cost you 2,000-2,500 pounds per month depending on your flat if you live alone. Share your room with a friend or with a significant other and you’ll be paying 50% of that. Sounds like a lot, doesn’t it? Well, let’s compare London to New York. The price of a one-bedroom apartment there in the Center is $3,175 on average, which is significantly more expensive. Paris will be worth 1,145 euros per month. That’s pretty close to what we have in London, but do mind the difference in the industrial scale of the two cities. There are simply much more opportunities for you in the Big Smoke. So, is the rent here worth it? I’d say so. London is a large city, that is true. But having a car here is barely a fitting solution. For starters, owning the car is expensive. You will have to pay for insurance, expensive car services and you will need an extra parking space. This may lead up to 1,000 pounds of additional expenses. Secondly, getting around in the car is inconvenient. You will be stuck in traffic above the ground while the savvier Londoners are blitzing their way through the capital underground. Yes, we have one of the better public transportation systems in the world. You’ll have to invest a hundred pounds or so into the balance of your Oyster card and you’ll be free to travel wherever and whenever you want. Leaving London is painfully expensive for some unknown reasons. A trip to Oxford or Brighton (and that’s like an hour or so ride) is £30. The further you go, the more expensive the ticket, so I’d suggest you keep that in mind. People often believe that we have free healthcare in London. We don’t. Well, technical, we do, but that which is free is barely healthy and most definitely not ‘caring’. On the other hand, the treatment provided by a private practitioner is very decent and not too expensive. One visit to a doctor is anywhere around 50 to 70 pounds. Not too much, if compared to America or even Europe. Drugs and medicine are rather cheap in London. The most common pills that you might need to treat something like a cold or a headache won’t cost you more than a few pounds. 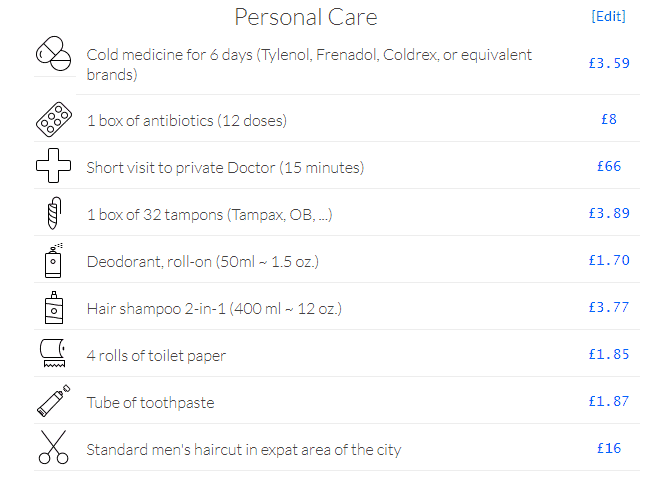 Yes, you should avoid getting sick in any place in the world, but if you do in London, it will not cost you a fortune. When it comes to food, there’s really not much to write home about. We have great food that’s rather cheap so a home-cooked meal is not only a delicious treat, but also a much cheaper option. Going out for a dinner, on the other hand… That’s a different story. If we are talking about a pleasant evening in a pub, one decent beer will cost you 5 pounds. So will a glass of good wine. A burger, a pizza or fish and chips are worth approximately 10 pounds each. The fancier the place you are going to, the higher the prices. Do the math. 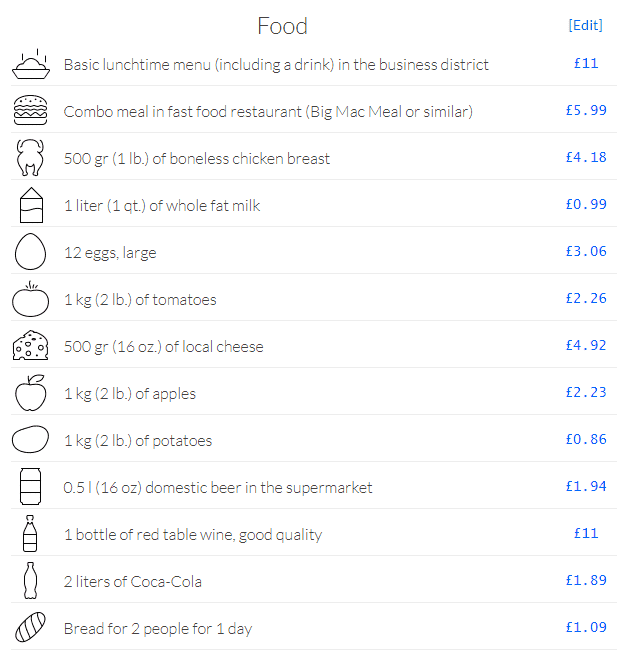 Yes, eating out is not too cheap in London. This has led to a false stereotype that all entertainment in the Big Smoke is expensive. It really is not. The museums, the galleries, the pubs and a ton of open-air events taking place every day of the week are 100% free. Have as much fun as your soul desires. What do we have in the endgame? Is London an overly expensive city like they say? No, it really isn’t. It’s not even as expensive as some other capitals and major cities from all around the globe. Yes, some of the prices here may seem over the top to young people who are still settling in, students or new people at the beginning of their career path, but the opportunities for business and growth compensate for the minor inconveniences plentifully. And what do you think about London’s price tags? Do they seem overblown to you or are you OK with paying extra for the comfort of one of the world’s most influential cities?